We have bring this subject to matter before! But there are a million ways to look at it in several points of view! 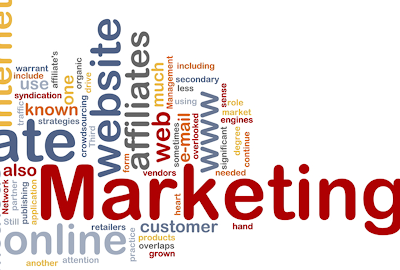 What will make you a better affiliate marketer? We will share a simple plan that, when tested may show you some answers! 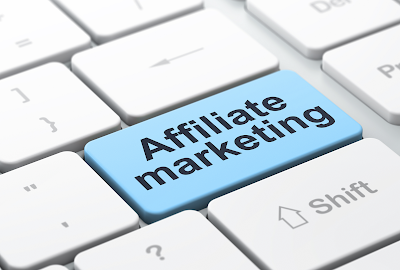 If you’re looking for ways to make money online, affiliate marketing must be at the top of your list. It isn't a short and easy way, but affiliate programs repeatedly top income reports for high-earning bloggers. In exchange for your promotion of a third-party product, you will receive a percentage of sales every time a customer makes a purchase through your link. Are we sharing secrets already? Please do not be fooled on think that it sounds easy, it is not. And if you are expecting a simple one, two, three formula, there are none. 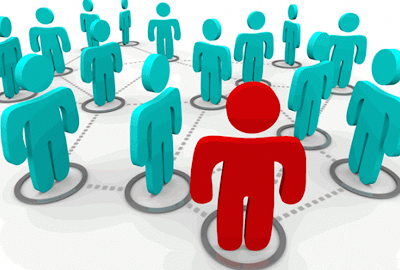 But if you are committed in building an online affiliate marketer carrear... this can help. You must have a blog. There is no way to run from this! You need to "speak" out your promotions. It is something that most have these days and the easiest and most natural context for an affiliate product, especially if you have followers. If readers come to your blog, and trust your recommendations, they will consider purchasing products that you endorse. But do not believe that this is the only way to be successful. Today you can not take your eyes from social media, paid ads, and email marketing. Tools that are precious and that can help you drive your affiliate marketing to success. Look at the products that you already use. But don't forget that by promoting a product, you are putting your reputation on the line. Picture this, your site, email campaign, or social media platform caters to new entrepreneurs and it’s a given that these entrepreneurs all need websites. So, products related to web hosting or theme development are both great candidates and can be big earners, especially if you communicate your positive experiences about them. In comparison, trying to sell a weight-loss program on your business site would probably be a real turnoff for your audience, as it would be out of context. This is not a given full proof formula. You can do what you want with your blog, and if it sells... do not let anyone tell you what is wright or wrong. It is easy, find a natural fit. If you sell a product that is out of line with and doesn’t have a natural appeal to your audience, your readers will be repelled by the idea that they’re being sold to. Embrace products that make sense. Ultimately, it’s all about understanding what your audience really wants. Say you’re an organic nutrition and wellness coach. For you, a natural weight-loss product you’ve used successfully could be a great fit. But be careful, a more commercial product in that same sector could be a huge turnoff for your particular audience. Be very precise on your approach to your audience. Work a niche it is easier! Consider trying a different platform, like Pinterest or email marketing specifically devoted to people in that target market, that niche. Choose the right model. If you can’t find a way to make a product fit into your content strategy naturally – and you feel deeply that you want to promote it. If you love fashion or maybe you’re all about the latest and greatest kitchen gadgets. These are both great opportunities for affiliate marketing. Both great niches. However, if your current blog, website or social platform might not be the best fit. Try your hand at a pay-per click campaign, all you need is an account, a landing page and a small budget to get started! Be advised that you might not have the expected results, has you might find that you have spent more then you gain. Spend your money wisely and do the math before investing. If you are only trying to fatten you followers numbers, this can work... if you are trying a sell... sometimes it works, others don't! Be careful, if it is easy to sense that you’ve endorsed a product you don’t actually like, you will not build trust... and then you are just another internet spammer. In nowadays, design is important. Quality website design is a strong signal to potential customers that you are selling a quality product. Slapping together a shoddy design and expecting it to convert won’t work any better for you than it does for any other type of company. Invest in a compelling visual brand, this will be your first in touch with your customers! Invest in a quality designer and copywriter to help you get your project off the ground, if you don't have the skills to do it on your own. They’ll be able to help you set up your business for successful conversion. If you want to be succeed, invest something in it! Oh... it will be very difficult to make money, without spending money. We don't know why yet, but it seams to be a make money law. In order to make money, you need to spend money! In order to receive, you must give! Affiliate marketing truly can be a path to profit, whether you want to supplement your current income or go out on your own. Invest in a strong idea and avoid taking useless shortcuts, and you’ll find yourself on the way to a new line of income in no time. It is not an easy path, but in time it will be a secure one!